The Content Farm is disrupting business as usual in the media industry, with dozens of projects in development and production, and a unique distribution model no other company can offer. We are your one-stop shop for the development, production, marketing, and representation of entertainment content. From television to music, film to app production. Our team comes from across the country and around the globe, with diverse backgrounds that unite to create cutting edge entertainment. 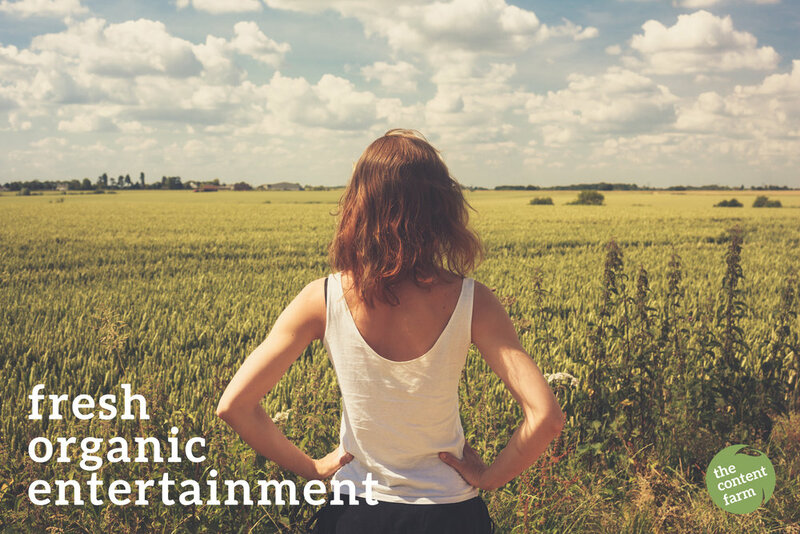 With partners across the media and entertainment industries — including artists, agents, production companies, and more — our mission is to deliver the freshest content on the market. From commercials to sizzle reels to fully developed pilots and programs, the Content Farm offers fresh, organic, and engaging content. There's always an opportunity to get your foot in the door. The Content Farm is a global TV and multimedia development and production company based in Washington, DC, with offices in New York and New Orleans. We're a fun-loving, super creative, and budget conscious mid-sized firm with huge results and an international reach in all things media. The diverse, innovative, and award-winning group of professionals at The Content Farm will support your project no matter what the medium: TV, film, digital media, music, or mobile applications. The Content Farm team is made up of award-winning business professionals, creative minds, technicians, and invested individuals who all share a passion for everything media. Our team comes from across the country and around the globe, with diverse backgrounds that unite over one purpose: to create unique, cutting edge entertainment and find it a home. The Content Farm has an unyielding passion for continuously finding the freshest and trending opportunities for our sponsors, clients, talent, and distribution partners. Whether we're helping with your project or “growing” our own, our work doesn't stop at creating; we are also uniquely qualified to help you distribute your content, maximize exposure, and make deals that monetize your dreams. With partners and relationships across the media and entertainment industries—including artists, agents, attorneys, network development executives, production companies and more—we are the only company of its size fully capable of incubating your dreams and making them a reality.